Through the support of the World Bank Group’s Nigeria Improving Business Environment for Prosperity (NIBEP) Program funded by the UK Prosperity Fund, NiNAS is pleased to announce supplementary training to upgrade both the skills of NiNAS assessors and laboratories quality managers that are engaged in the accreditation process. 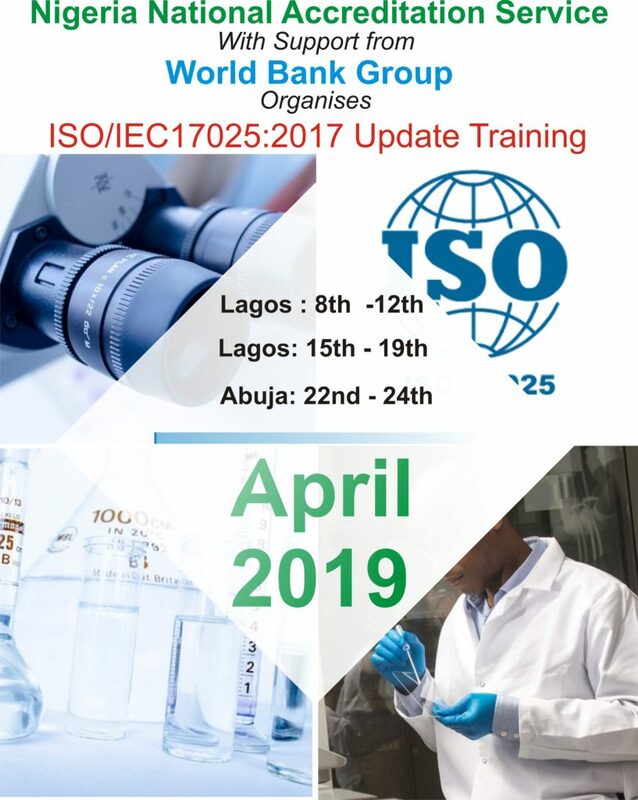 The five-day training will focus on changes to the laboratory standard ISO/IEC 17025:2017, as well as certain additional topics identified by NiNAS assessors and the laboratory community as challenging. April 22- 24 in Abuja. NOTE: This training is ONLY open to invited ASSESSORS and QUALITY MANAGERS.